For those who are unaware, +Link4Growth SW Herts had its 2nd Link4Coffee event in Nash Mills last Friday at the boat base of +Waterways Experiences - WExp. The charity started in Spring 2014 after a considerable amount of effort from the volunteers. The charity recently published an article about the event and it can be seen below. "On a bright and frosty Friday morning at the end of January, Waterways Experiences hosted a community-building event with the South West Herts branch of Link4Growth – the second time that we’ve made use of our excellent facilities at the boat base for hosting this type of free networking event. One of the guests was interested in volunteering for us while another was keen to find out more about the boats and their facilities as his wife works with a charity for children with learning difficulties. It’s not just about Waterways Experiences though – plenty of good conversation on other topics ensures most people leave the event with new contacts and ideas to help their particular business or interests. Link4Growth’s Chris Ogle donned his Googlespecs to film Rick on a guided tour through our flagship Sheldrake 3, highlighting the work that Waterways Experiences does and the facilities that the boat provides. The 4th Friday of every month is a regular fixture for these events so do come along. Book your place for the next one on 27th February (10am – 11.30) athttp://www.eventbrite.co.uk/e/link4coffee-nash-mills-tickets-15128061439 and help spread the word! All welcome. 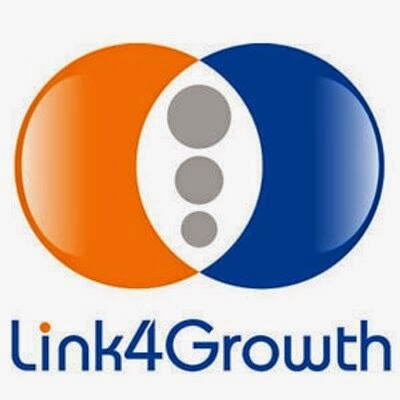 Find out more about Link4Growth"
I am delighted that WEXP have written this article and are spreading the word about the next event. This will increase the awareness of this event and as a result, improve the awareness of the charity. The more people who are aware of the charity, the more they can help people enjoy a day or week n the canals. To find out more about WEXP, visit the website: http://wexp.org.uk/, send me a message or come along to the next Link4Coffee meeting.